The Corner stone of NFL's meritorious track record is its human resource. At NFL, we firmly believe that our employees are our most valued resources. NFL has always been a forerunner in the fertilizer sector and this has been made possible through the company's thrust on human resources development. NFL offers a host of exciting career/opportunity to dynamic/young/qualified individuals in Production/Maintenance/Marketing/Finance and Human Relations. NFL has three induction levels Management Trainees/Technicians & Operator Apprentices & Commercial Apprentices. Developmental and functional programs based on training needs, as judged in the area of updation of technical supervisory and managerial skills alongwith specialized requirements from time to time. The services which have been developed in the area of Training and Development within the organization are readily available to other organizations within the laid policies and procedures of the Company. The Company's concern for its employees is reflected through its efforts in the area of health, safely and welfare of its employees. NFL not only meets the statutory obligations, but has undertaken numerous voluntary measures beyond the statutory requirements. The Company has well equipped hospitals, canteens recreation clubs, housing facilities, schools and safe working environment. The onus of NFL's high production levels lies on harmonious and cordial industrial relations at all its manufacturing Units. The Company has not lost even a single manday on this account. 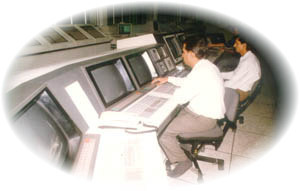 Recruitment and Training of Trainees at various levels viz. officers, supervisors and workers. Organizing of developmental and functional programs based on training needs, as judged in the area of updation of technical, supervisory and managerial skills longwith specialized requirements from time to time. Imparting of training to people from other organisations within India and abroad. Formulate policies regarding manpower deployment on hire to other organisations within India and abroad. The services which have been developed in the area of Training and Development within the organisation are readily available to other organisations within the laid policies and procedures of the Company.